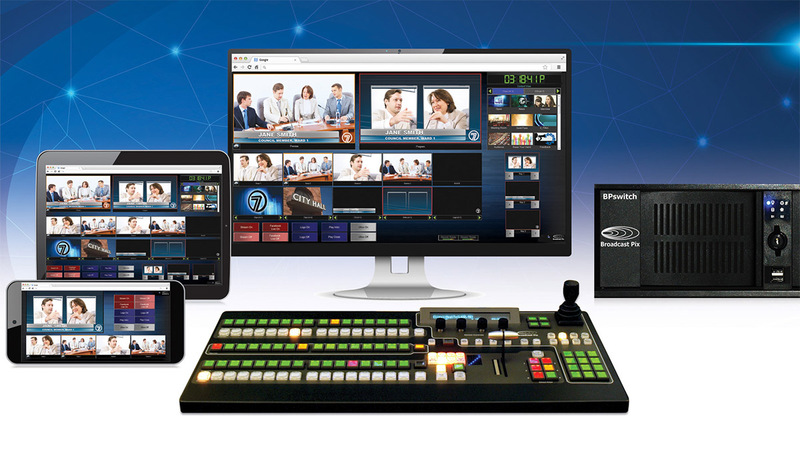 Broadcast Pix will roll out a new family of integrated video switchers during the upcoming NAB Show in Las Vegas, allowing control-over-IP via tablets or phones. The switchers include enhanced BPNet, hybrid SDI and IP I/O, streaming, NewBlueNTX graphics and optional robotic camera control. Launching alongside, BPswitch will allow switcher control via tablets, phones and connected devices, including in a browser. In a release, Broadcast Pix notes the app lets non-technical personnel easily execute live productions. The new BPswitch models include the FX, MX, and GX, which provide up to 22 SDI inputs and 12 outputs. All systems also provide IP inputs and streaming to Facebook Live and other CDNs, and are upgradeable to 4K. BPswitch models will ship in September and start at $11,990.